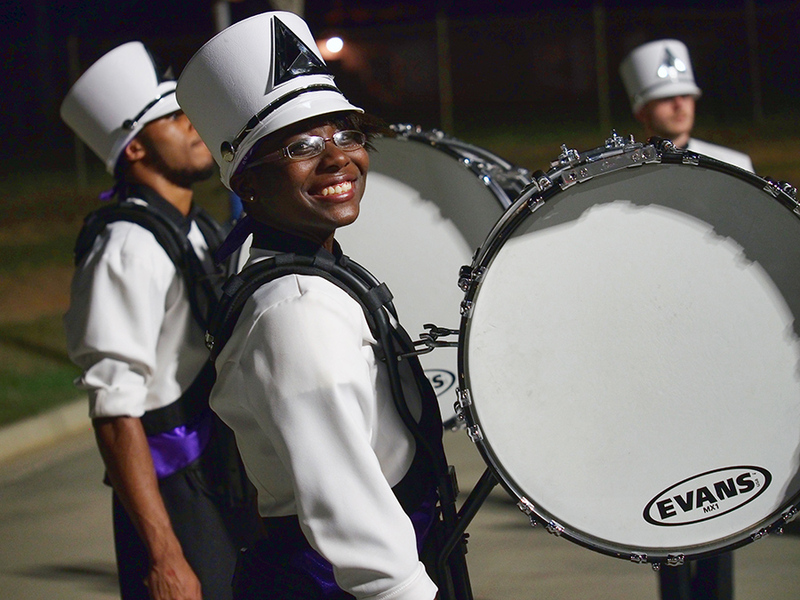 The Drumline comprises 20 to 25 members including traditional battery and front ensemble instrumentalists. Drumline auditions are held prior to the beginning of preseason band camp. Returning members must re-audition for placement each year. The audition may consist of prepared materials which will be distributed to all prospective members. Please fill out our online registration form linked on this website to add your name to the mailing list. 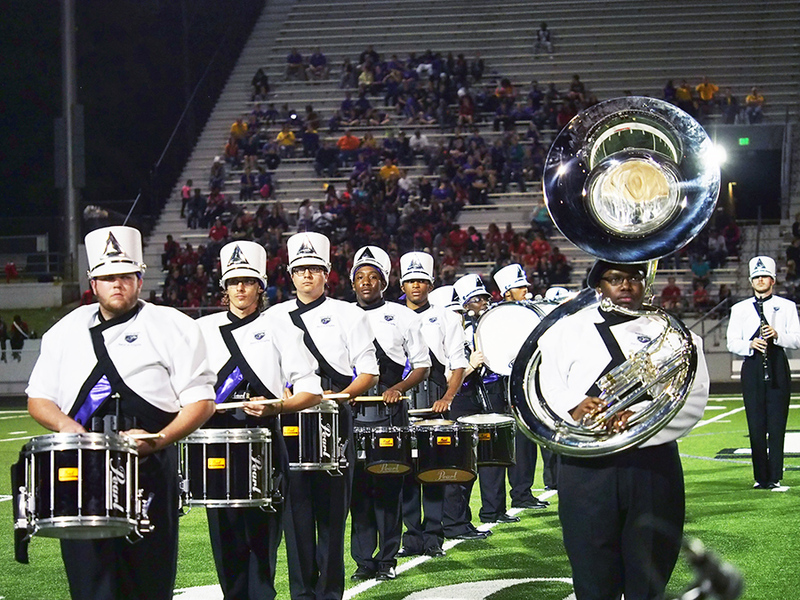 Band camp registration is included as part of the registration form. We may need to email information to you, so make sure you fill out the form! Unlike wind players who are interested in The Band of Knights, percussionists do not need to schedule an individual appointment to play for the band staff before camp (unless you are a prospective music major). 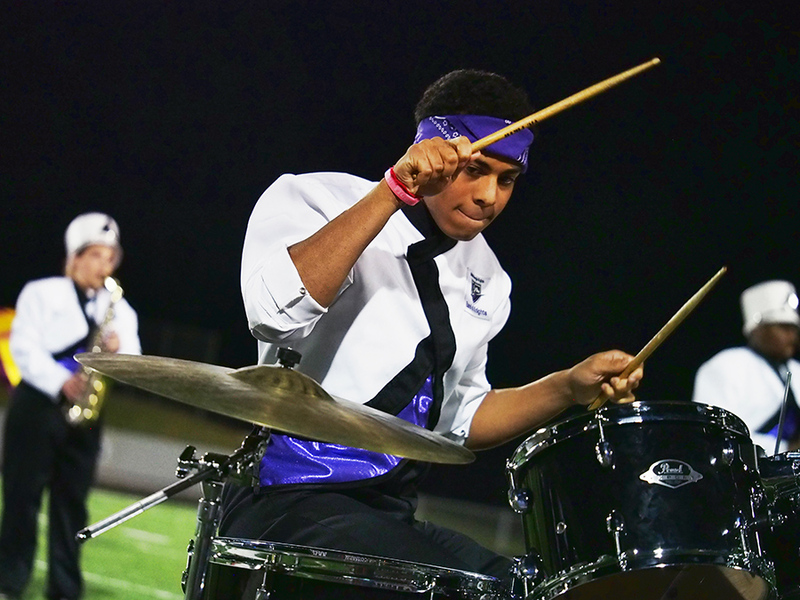 In addition to rehearsing with the Band of Knights, the Drumline may hold additional rehearsals on Monday evenings and/or Saturday mornings of game days, so stay tuned.